I make my bed every day! This was the easiest monthly habit for me to master thanks to a testimonial my very first year with you. Okay, okay, I have a confession. I do not make my bed as soon as my feet hit the floor. How does BEFORE my feet hit the floor sound? One of your flybabies shared how she would move like she was making a snow angel under the covers. While this isn’t exactly what I do, it did give me the idea of starting the process before getting up. First I put the pillows in place. Next I lean over to the far side of the bed and pull the covers to the proper place. Then when I get up all I have to do is straighten my side and …Done! It may not be that dreaded “P” word, but it’s made and I don’t even have to think about it….. it is just part of getting out of bed now. I think simply taking away that extra step of walking around to the other side of the bed was the magic. 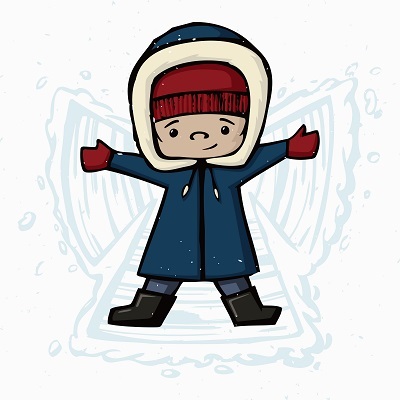 So, thanks to that snow angel flybaby out there for sharing. That is the very reason I’m sending in my very first testimonial. If it helps even one person, it will bless them, and me! Honestly, I wish the other habits had been this quick for me to pick up. Lastly FlyLady, thanks to you and all of your flyfairy helpers. You’re truly like a FlyFairy Godmother. Thank you for answering your calling to help and bless so many. This entry was posted in Habit of the Month and tagged behavior modification, flylady, get organized, Habit of the Month, routines, shiny sink. Bookmark the permalink.